Yet another beautiful, -20ºc start to our day here in Geilo. The main arena teams were working until late last night and continue to make great progress shaping 2016's flower & forest themes and motifs. Down by Slåttahølen, the team from the Bergen Academy of Art and Design (KHiB) are creating something quite magical, with final details to be discovered at the launch of our legendary midnight concert this Saturday night. We love this daytime temperature...forecast for the weekend is warmer though. 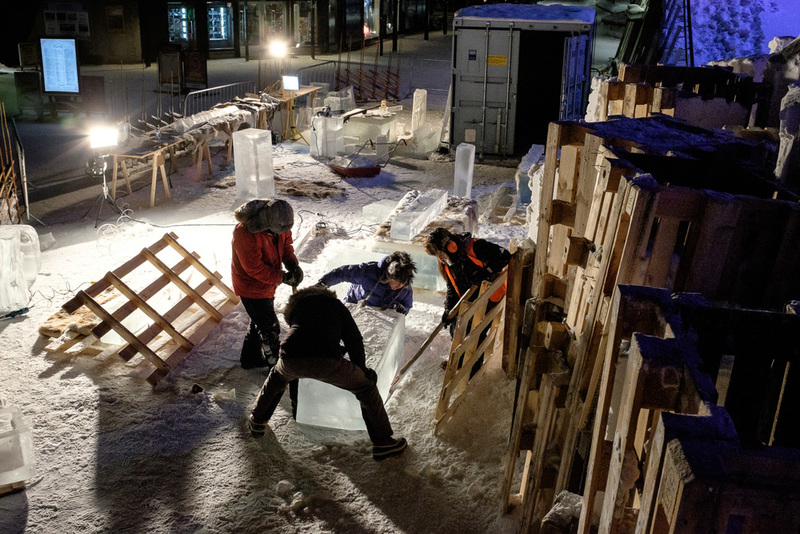 If you are intrigued and fancy experiencing the world's first and only Ice Music Festival, where all the instruments are made from locally sourced fjord ice, then head over to our About / Where Is Geilo andTicketmaster shop to organise your visit.